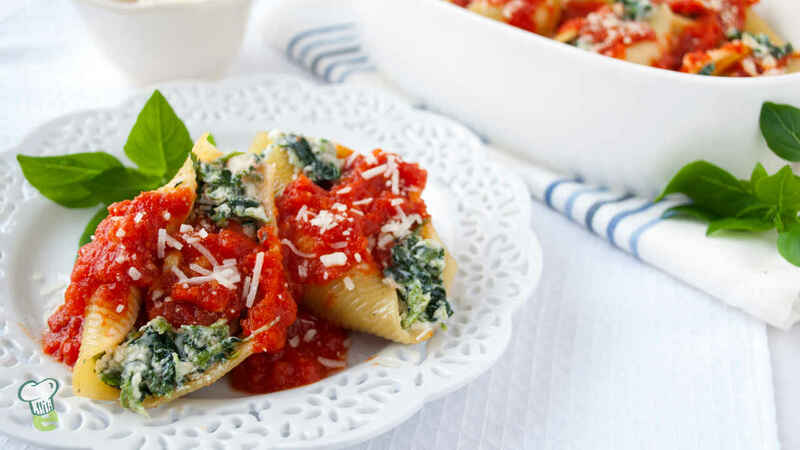 Stuffed with creamy mozzarella and ricotta cheese and spinach, you'd never guess these shells are low fat. In a large bowl, combine cheeses, spinach, egg whites, pepper, cinnamon, garlic and basil. Using a teaspoon, spoon mixture into cooked jumbo shells. Spread 1/2 cup marinara sauce on the bottom of a 13 x 9-inch baking dish. Place shells, open side up, into dish and pour remaining 1 1/2 cups marinara sauce on top. Sprinkle with Parmesan cheese. Cover loosely with foil and bake for 30 minutes. Let stand for 4 minutes before serving.